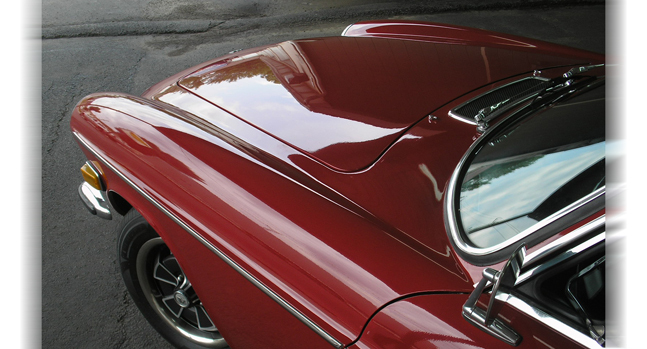 I have worked with 6 companies to inspect 7 vintage cars I purchased and not one compares to Pittsburgh Vehicle PPI. Brian spent time with me on the phone to review every detail to make certain I understood his service versus others. My initial thought was how different can the service really be. Simply stated, like night and day. Brian is professional, sends proper quotes and adheres to his commitment. His report was extensive, pictures of every aspect of the car were clear and accurate with the description. His cost was extremely fair. The dealer I purchased the car from said to me he has never seen someone take the time Brian took to go through the car. I bought the car and it is being shipped to Germany next week. I give Brian 5 Stars out of 5. Your professionalism in inspecting the Cadillac, providing the documentation and pictures and then communicating the findings in a clear and concise manner were second to none. I have utilized a number of inspectors all over the country for pre-purchase inspections of vintage automobiles during the last 10 years and you have been the best by far. When the seller agrees with me that the service you provided was thorough and fair, it makes the car buying experience much more enjoyable. Best regards and thanks for a job well done. We used Pittsburgh Vehicle PPI for an unrestored Camaro. They did a wonderful job of accurately representing the condition of the car, and for a very reasonable fee, verified the claims made by the seller. They went above and beyond my expectations, including returning my calls after hours. The car purchase was completed based on their confirmation of the seller’s claims, and upon arrival to Texas, we found the car to be exactly as described by Pittsburgh Vehicle PPI. I would highly recommend Brian and his company to anyone purchasing a vehicle. I had an excellent experience with Brian at PVPPI in the evaluation of the condition of a vintage Jaguar. Brian was attentive and timely in all of our dealings on the car, and provided a detailed and objective report with many pictures which were invaluable. Thank you for your professionalism and thorough inspection of a vehicle I had considered buying. Your inspection revealed several flaws that were not disclosed by the seller and additional red flags were raised by your point by point analysis. Your service saved me from what would likely have been a very disappointing purchase. After locating a 1957 Chevy for sale in Pittsburgh I contacted PVPPI for a pre-purchase inspection. Brian wasted no time in contacting the owner and inspecting the vehicle. Using the 84 pictures he took, we had a very thorough discussion of the condition of the vehicle. Having an inspection is a must, and I’m glad I found a trustworthy professional like Brian at to do it for me. I was looking to purchase a car in Pittsburgh but my schedule did not allow me the opportunity to inspect the car. I saw Brian’s website and he was actually pretty close to where the vehicle was located. He did a great job and he actually helped me save a lot of money. I would definitely recommend his services. Once he does the report and takes the pictures, you can call him and he will go through the report with you. Pay him and save thousands. Living in New York and finding my dream car in Pittsburgh was how it all began when I started searching for the perfect Audi R8. When I finally found it, I needed to make sure it was thoroughly reviewed, inspected, and driven by an expert with extensive experience prior to finalizing the deal. Since I was not local to the area, I definitely required a used car inspection. Originally I tried to contact other online services that claim to offer PPI (Pre Purchase Inspections), however they gave me the run around, and took my credit card payment right away without even setting up a punctual appointment time and clearly stated I would not be able to speak to the inspector, nor would they provide the credentials and experience of the inspector which made me very worried. Eventually I cancelled their service, and searched for a PPI which was local to the Pittsburgh area. I immediately came across the Pittsburgh Vehicle PPI website and contacted the owner Brian. I explained my situation and he was able to accommodate my particular needs and carry out a full inspection with photos within less than 24 hours time. Also included was a complete worksheet indicating what exactly was inspected and the condition of each inspected item. My particular vehicle was a Certified Pre-Owned Exotic Car. In addition to this service he actually goes over the inspection verbally with you, so that you are fully aware of the cars condition. You have the opportunity to ask any and all questions you wish to do so at this time. His services definitely gave me the peace of mind I needed before buying a car over the phone I had not even seen. After having the car for about a month now, I definitely think the best investment I made was to hire Brian to look at the vehicle before I purchased it. In fact I flew in from NYC to pick up the car and drive it back. When I got to the dealer, I wrote the check and drove out, with full confidence knowing that Brian had already thoroughly inspected the vehicle. This service is strongly recommended without reservation. Thanks Brian.